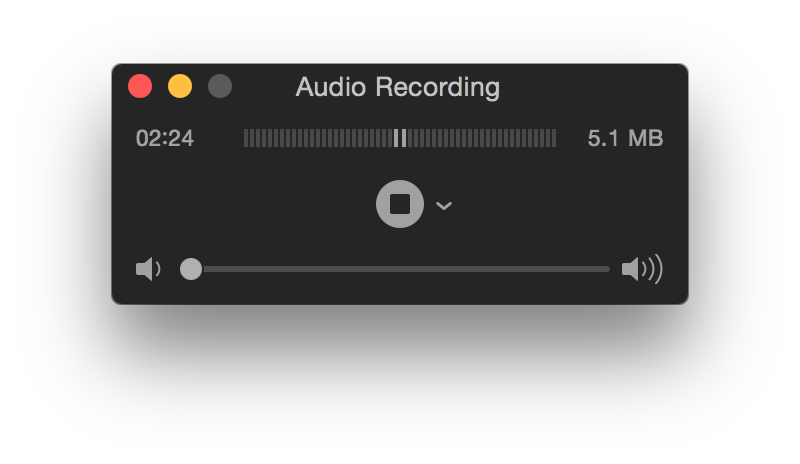 If you need to create an audio recording, e.g., to record a lecture, etc., you can do so with a Mac OS X system using the QuickTime Player application that will likely be in the /Applications folder on the system. Open the QuickTime Player program from the /Applications folder. 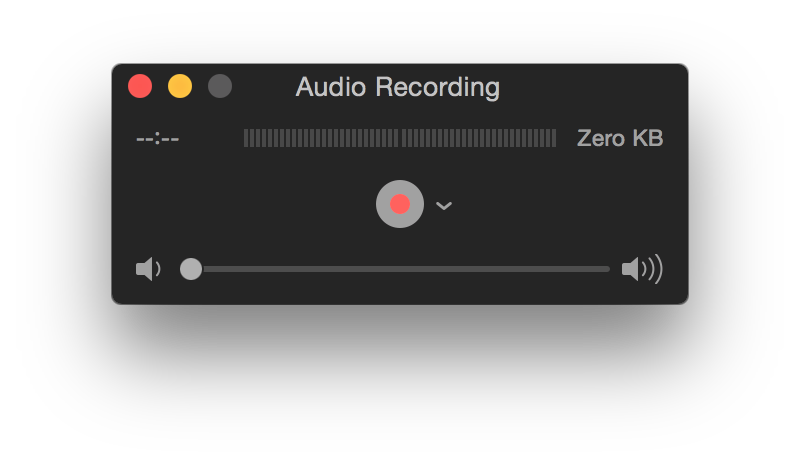 When you are ready to start recording, click on the red button in the middle of the Audio Recording window. When you start the recording, the button changes color to a dark square within a white circle and you will see the time incrementing on the left side of a bar in the window and the size of the file for the recording incrementing on the right side of the bar. When you are ready to stop recording audio, click on that button. Then click on File and select Save. You can then type a name for the file, associate tags with it and choose where the file will be saved. 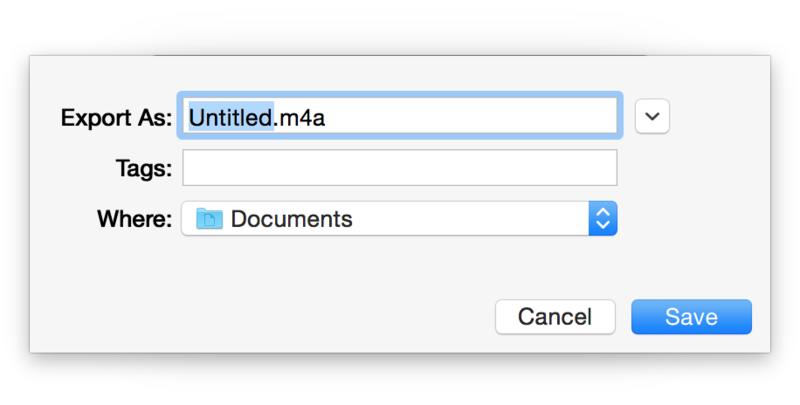 Note: this procedure was written for QuickTime 10.4, but should be similar for other versions.